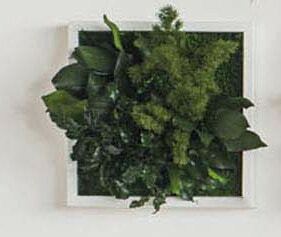 NATURADOR® vertical gardens are individual design object made of gently and naturally preserved mosses and plants from sustainable sources. They neither need water, nor fertilizer or light and are hand crafted in a German manufactory. Get the jungle into your home! 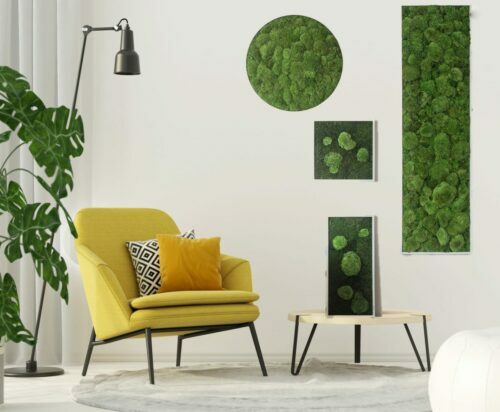 Our small NATURADOR® jungle pictures give jungle feeling also to smaller rooms. Choose between a single plant picture or a set of 3, that can be beautifully combined. In reality even nicer than on the picture! Our jungle pictures are framed in a matte white wooden frame.